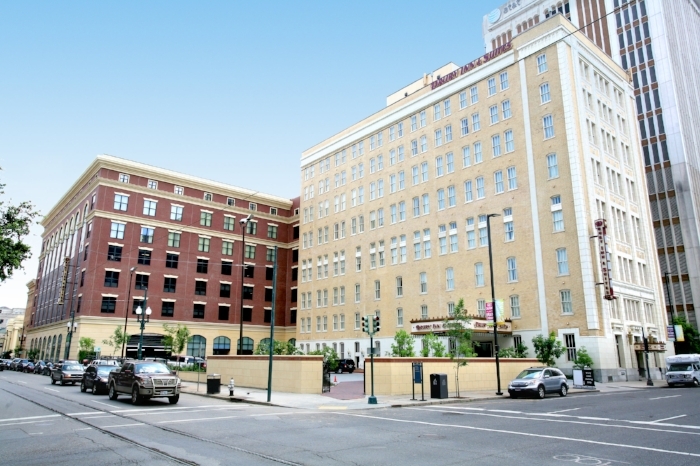 Ace Hotel — Morphy, Makofsky, Inc.
MMI provided structural engineering services for the new four-story building addition to a historically protected nine-story structure, located in downtown New Orleans. The existing parking was transformed to a modern, four-story addition, which includes a new restaurant and more hotel public space. Due to the proximity of the adjacent, masonry supported historical structures, the pile supported foundation was designed in conjunction with the contractor to develop a pile driving strategy that produced very little vibrations and no noticeable impact to the adjacent historic structures that surround the site. 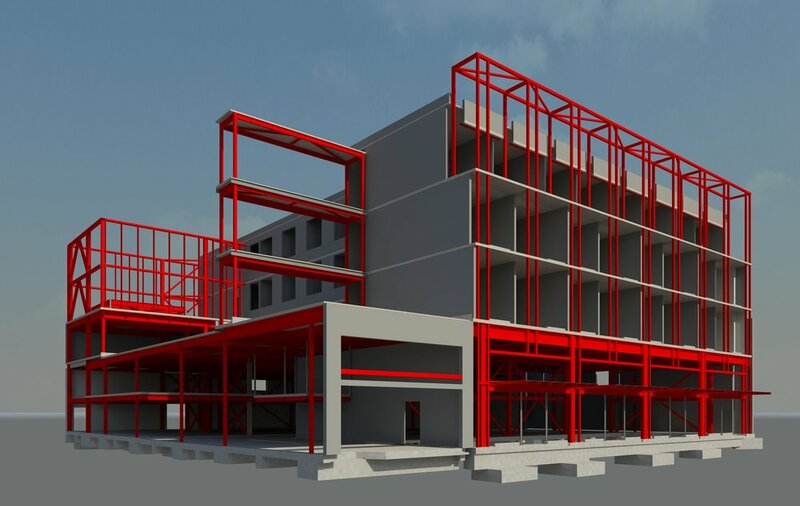 The first level of the structure consists of a structural steel framed platform with a composite concrete on metal deck floor system that supports three levels of load bearing metal stud walls. The upper floors consists of long span concrete and metal deck composite system which are supported by the metal stud walls. Working in close conjunction with the contractor, MMI was able to design the structural system utilizing the most economical systems available and allow the project to be within budget and completed on schedule.